2 Economy and fuel efficiency in automobiles. 5 Diesel or gasoline: which is more efficient? 5.1 Diesel or gasoline: which is the most efficient? 5.3 What will happen in the future? 6.3 When is a car fuel efficient? Before seeing what sets us the year 2019 regarding the most efficient cars in 2019 and how can we make fuel economy in automobiles, let’s see what is consumption fuel and how do we calculate this consumption. The fuel consumption of a car depends on multiple factors, such as the design of the engine, the body, the driving style, and the environmental conditions; it is usually expressed in liters per 100 km, but sometimes and more and more frequently, it is expressed in km / 1. The manufacturers indicate a normalized consumption. – Climbing a hill (power expended in overcoming the force of gravity). On average, the power consumed in starting accounts for approximately one-third of the available energy and depends, above all, on the weight of the car and the load it carries. In contrast, the power expended in maintaining the speed represents more than 60% of the total fuel consumption and depends essentially on the shape of the body and its aerodynamic drag. For this reason, the consumption increases with the square of the speed, since this is how the air resistance varies. The third type of energy generally represents a very small fraction, less than 10%, and does not depend on the engine or the driver, but only on the weight of the car and the slope of the road. As an indent it is indicated that these 3 forms of energy are destined, sooner or later, to transform into heat and dissipate in the air. From the above considerations it is deduced that to reduce consumption a car must have: a good thermodynamic performance of the engine (among the new factory cars there are no appreciable differences in this sense), a reduced coefficient of the strength of the body, front section small and little weight. All are elements that depend on the project of the car; The buyer, however, can freely choose between the different models according to the best characteristics. You can also obtain reduced consumption by keeping the mechanical organs in optimal conditions: efficient electrical installation, exact regulation of the distributor and carburetor, clean air filter, correct tire pressure, perfect wheel inclination, etc. It is also essential to drive correctly with moderate maximum speeds, gradual accelerations with slow pedal movements and smooth decelerations. In short, everything must be as close as possible to the uniform movement. To carry out the consumption test, devices consisting of graduated cylinders, directly connected to the supply circuit and which can be introduced and removed from the circuit at will, are used; with this system the fuel required is measured exactly, to travel a certain path of known length at a constant speed. The motorist can evaluate the average consumption of his car, dividing the kilometers traveled since the last time he filled the tank by the liters of fuel introduced in the successive filling. The specific consumption is a characteristic data of the engine and not of the car. It indicates the grams of fuel that it is necessary to spend every hour per horse of developed power. It is measured in the * test bench and gives an idea of the thermodynamic performance of the engine at different regimes. In the 4-stroke gasoline engines, it is 190-210 g / CVh, at speeds close to those of the maximum torque. In the diesel engines of cars, it drops to 180-200 g / CVh, while in the 2-stroke engines it is higher: 330-350 g / CVh. Economy and fuel efficiency in automobiles. The physics of fluids and engineering tells us that the friction force is directly proportional to the square of the speed, and therefore the energy consumed in the same path is also directly proportional to the square of the speed. That is, if the speed is double, then the power consumption will be four times the initial one. Or what is the same, a car at 141 km / h consumes just twice as much as 100 km / h, always according to this physical rule. Then we have the arguments against that the efficiency of the engine is better at 141 than at 100, because the engine is more efficient, producing a higher torque, at certain revolutions. The 3000 revolutions per minute is usually the key for gasoline and about 2500 rpm for diesel. where on the horizontal axis we have the speed in miles per hour and on the vertical axis the number of miles that the vehicle can travel at that speed for each gallon of fuel consumed. This graph is very useful to see the fuel efficiency in several models of cars and see how faster we have our vehicle travels fewer kilometers with the same amount of fuel. To understand it better I have converted it into the most usual way of comparing speed in km / h with consumption in liters per 100 km traveled for the Zafira and the Gasoline Golf. And therefore for 120 km / h consumes 8.25 liters per 100 km, and for 110 km / h consumes 7.47 liters per 100 km. The saving is not 15% estimated by the proportionality that gives us the theory of fluids but only by 9.5%. As mentioned above, the vehicles are optimized for higher speeds and 120 the engine works at a more optimal speed than 110 km / h.
The final conclusion is that by reducing the speed on the motorway from 120 to 110 km / h, we will save 9.5% to 9.7% (the latter for Zafira) on fuel consumption. Another important factor to take into account if we want to save fuel at high speeds is the aerodynamics of the car. That’s why Zafira consumes a lot more than Golf. The minivan consumes approximately 16% more than the compact at 100 km /h, and 18% more at 150 km / h.
At low speeds, driving around town, with frequent braking and acceleration, the most important factor is vehicle weight. A more weight more consumption in a direct proportionality. Driving style is another very important factor for similar reasons. Carry out smooth accelerations, instead of abrupt, save a lot of fuel, and use longer gears when you can also save fuel. The pressure of the tires is also important. A little-deflated tire deformed excessively causing them to consume more energy when rolling. It is estimated that a pressure lower than that recommended in 0.2 bar causes an increase in energy consumption of between 1% and 2 %. Therefore, check the tire pressure frequently. The use of the extras also consumes fuel. In reality, it consumes electricity, but that electricity is generated by the alternator from the energy of the engine and therefore consumes fuel. Air conditioning 0.7 l / 100 km, fog lights 0.3 l / 100 km, radio 0.2 l / 100 km. The use of low consumption tires for low rolling resistance can lower our fuel bill somewhat. Some manufacturers presume to save up to 0.2 liters per 100 kilometers traveled, which is between 2 and 3% savings. In short: More aerodynamics, less weight, smooth driving, long gears, low speed on the road and well swollen and modern wheels to save fuel. The high price of fuel makes it inevitable that we worry about saving in the refueling of our vehicle. It is important to keep in mind that there are a series of measures that we can take to reduce our consumption. Driving efficiently, performing a proper vehicle maintenance or looking at the state of the wheels can help us. However, the first thing we must do is calculate the fuel consumption we make. The first step to follow is to go to a service station and fill the car tank completely. It is necessary to note the number of liters of fuel that we have thrown. After refueling, it is important to set the car’s odometer to zero. The usual thing is that the current vehicles give us this option. If not, we must record the number of kilometers marked by the meter before starting the car. When we have completed the steps above, we must circulate as we would normally only, this time, we should not stop to refuel until we have exhausted the gasoline of the vehicle and the indicator that the car has entered the reserve. Once the deposit of the car is in the reserve, we will go back to a gas station, we will fill it completely and we will write down the number of liters that we have needed to throw. After having done everything discussed above, we would already have all the variables to calculate the average fuel consumption of our car. From here, we would simply have to make a rule of three. Imagine that our vehicle’s gas tank has a capacity of 50 liters of fuel and that, once full, we have traveled 600 kilometers with it. What we want to know is how much we consume at 100 km. Well, to obtain this data, we would have to divide the amount of fuel by the kilometers made and multiply the result by 100 (50: 600 = 0.083, 0.83 x 100 = 8.33). Now we know how to calculate fuel consumption. Of course, it is also important that we do everything possible to improve our driving to save. Not only our pocket will thank us, but also the environment. Heat the engine of the car for more than a minute. A car consumes 100 mL for every 10 minutes running idle. Accelerate quickly from a stop. Up to 50% more fuel is consumed compared to a gradual acceleration. Travel at high speeds. A car traveling at 110 km / h consumes around 20% more fuel than if it traveled at 90 km / h.
Dense traffic. Increase fuel consumption by up to 15%. Use the air conditioning immoderately. Consumes 10% more fuel. Load useless things in the trunk. For every extra 50kg, fuel consumption increases by 2%. To improve your fuel consumption we suggest you review the Efficient Motorist’s Guide where you will find useful recommendations for efficient driving and saving money. Dirty air filter It can increase gas consumption by up to 10%. Automobile with poor maintenance. It can increase fuel consumption by 30%. Incorrect tire pressure. It increases fuel consumption by 5% and reduces the life and safety of the tires. We suggest consulting the Maintenance and Maintenance Manual of your car to know the periods in which it requires service, which varies between the different manufacturers. Remember: it does not matter if the car is a recent model or not, it will always require maintenance that allows it to offer an optimal, safe and efficient service to the owner. In general, all internal combustion engines require a period of settlement of the internal parts of the engine, this adjustment usually occurs between the first 5,000 and 8,000 kilometers. During this period, the car’s fuel efficiency will be lower than that reported by the manufacturer. The performance values are obtained in a laboratory under controlled conditions of height above sea level, humidity, temperature, wind, soil roughness, among others, and therefore may not be reproducible under real management conditions. Compare the different cars available in the market. Have a reference for maximum fuel efficiency that can be achieved with the help of efficient driving. A possible failure of the car, from a considerable drop in average fuel efficiency. Another factor that affects the performance of fuel in a car is the height above sea level, since at higher altitudes, less oxygen. This decrease in oxygen affects combustion, a phenomenon that drives the engines, causing a loss of power or torque and a lower fuel efficiency (km / L). Theoretically, for each one hundred meters above sea level, the yield of these drops by 1%. In the case of turbocharged engines, the effect of altitude is minimal. Diesel or gasoline: which is more efficient? We tell you the keys to know which of these two engines is more efficient on the road. Which one will win? Discover it! Not long ago diesel engines were booming. The idea was widespread that in the face of frequent use of highways and long journeys, diesel cars were more efficient than gasoline cars. However, after the dieselgate and with the new improvements implemented in gasoline engines, the market trend is changing. Why? Diesel or gasoline: which is the most efficient? Before seeing the efficiency of both, one must have a prior concept clear. A liter of diesel has 10% more heat energy than a liter of gasoline . This implies that diesel engines start with greater advantage. If we add that the physical and thermodynamic processes that take place under the hood of a diesel car are more efficient, it might seem that the answer is clear: Diesel is more efficient, although in most cases, the useful life of a gasoline car be greater . However, if we include the environment in the equation, efficiency is relative. Because with the dieselgate scandal it was discovered that many brands that manufactured diesel vehicles falsified the nitrogen oxide (NOx) emissions test. In this way, the values ​​of pollutants were triggered to achieve greater efficiency. Because in the same way that diesel is more efficient, gasoline (at the moment) is cleaner.Fact that may seem insignificant, but it is not. Large cities such as Paris or London have already stated that in 2020 no diesel vehicle will circulate through its urban area(Madrid and Barcelona are considering possible similar measures). In fact, according to the American consultant AlixPartners, in 2030 only 9% of the cars that will be sold in Europe will be diesel (a trend that has already begun to be noticed in the market this year with the 7% decrease in purchases of diesel cars). According to data from the association of automobile manufacturers ANFAC, in 2016 diesel engines have disappeared from the model catalog of segment A, that of “citizen cars”. Yes they maintain their reign in the SUV market, where the proportion of sales of diesel models is still higher , although a change in trend is perceived. This drop in sales is not exclusively due to problems with emissions. During these years in the shade, the manufacturers of gasoline cars have been improving the efficiency of their engines and in turn, the price of diesel has risen with respect to gasoline. And although there are tricks to try to save fuel , users increasingly see with a better eye opting for a car with a gasoline engine. According to data from the Association of European Automobile Manufacturers (ACEA) , gasoline cars exceeded for the first time since 2009 in units sold to those powered by diesel (3.49 million units, 4.18% more). xson data of the first semester of 2017 in Europe.the same study concludes that gasoline-powered cars accounted for 48.5% of total new car sales, 45.8% more than in the first half of 2016, while diesel cars obtained a market share of 46, 3% (3.9 points less than in the first half of 2016). It is risky to venture that will come the next few years, since less than five years ago nobody could foresee the current bump of diesel cars after three decades of being on the podium of the best sellers. However, there are two factors to consider. On the one hand , diesel manufacturers are working at full capacity to recover the lost ground . For this reason, they have focused on achieving the same values ​​in the efficiency of their engines, after adapting their polluting emissions to the homologation rates of vehicles issued by the different European institutions. On the other hand, hybrid and electric cars demand passage. More than a century ago the electric car was invented , which was on the rise until the appearance of Ford with its combustion engines and its chain production, reducing costs. In turn, 20 years ago that Toyota produced the first hybrid model in series. If it is true that history tends to repeat itself, it seems that we are at the beginning of a new era of hybrid and electric cars (Tesla has been pushing hard since 2006). Not in vain, the efficiency of both little by little is approaching the values ​​that mark the cars diesel and gasoline . Economical cars: an important factor for the environment and your wallet. Economical cars are a recurring theme, not only because of the uncertain oil prices, but also because many drivers are more concerned with the environment . The fact that resources are not secure in the long term also allows many to pay more attention to consumption. Low-consumption cars therefore not only save money and the environment , but also slow down the loss of crude oil reserves. But how can a car driver recognize what the most economical models are and which decision-making aids can he use to obtain the correct information when purchasing them ? These and other questions are discussed and explained in the following guide . A fuel-efficient car is always a good idea. In addition to the cost aspect, the emission of pollutants – such as carbon dioxide or other nitrogen oxides – always plays a major role. These climate-damaging gases decrease with every liter of fuel that is not burned . Low-consumption cars need less fuel at the pump. Economical gasoline or diesel vehicles can therefore have a decisive effect on the climate development. The more fuel is saved , the fewer pollutants are released into the environment. But sometimes it is not easy to see if a car is really low in consumption and if it can be trusted with the manufacturer’s information. It is usually the case that the manufacturer’s instructions point to low-consumption cars, but the values ​​are not applicable to everyday life . 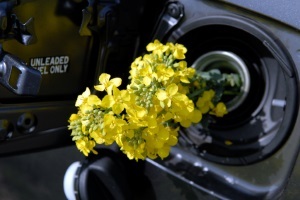 Often, even the most fuel efficient cars often consume much more fuel than indicated. Consumption is calculated in accordance with the New European Driving Cycle (NEDC) . However, the measured data relate to pollutant emissions and not to actual consumption . Also tested here under laboratory conditions and not on the road at normal speeds. Since then can a vehicle that is declared as a frugal car, already far above the displayed values. Car drivers are interested in economical cars, should be used before the purchase decision, more information than just the manufacturer’s information . The car clubs, such as the ADAC and the ACE, as well as the TÜV or consumer or industry magazines regularly test the actual consumption of motor vehicles. Here the fuel consumption per 100 km is determined. This then serves as the value for a comparison in all models. 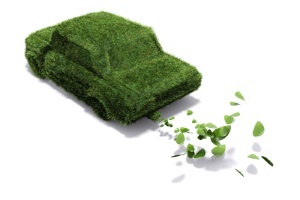 When is a car fuel efficient? The less energy a vehicle needs, the lower the demand for fuel. These vehicles are also referred to as low energy vehicles (NEF) . In comparison, these vehicles require relatively little fuel, so they are often referred to as very environmentally friendly cars . Fuel-efficient cars such as these consume 100 km mostly under five liters of gasoline or less than 4.5 liters of diesel. Also, the carbon dioxide emissions per kilometer is significantly lower in these fuel-efficient cars and is usually no more than 120 g .
The most fuel-efficient car is probably the so-called one-liter car . Still, these vehicles are in development with several automakers, such as VW or Renault, and are rarely available on the market . Usually these are also very economical small cars. Because the smaller the vehicle, the less fuel is needed. The low quantities and high purchase prices have prevented so far that a car could prevail with so little consumption on the roads. Economical cars are often also when a hybrid engine is installed . Here, an electric motor is used, which acts individually on the drive or works in parallel with the internal combustion engine. The vehicle is fitted with energy converters and energy storage systems that recharge while driving, providing energy for the vehicle. Again, it is worth comparing the different automakers to find out which is the most economical car and how much fuel can be saved by this type of drive . Environmentally friendly cars support an adapted driving style and save fuel. Not only the design of a vehicle or the drive used can save energy and thus fuel. The driving style also has an influence on whether economical cars can really reduce fuel consumption or not. A fuel-efficient car is only really effective if the driving style helps to keep the consumption as low as possible . The way in which a vehicle can convert energy also helps to save energy. For this, the driving resistance and the efficiency are decisive. The efficiency measures the efficient conversion of supplied energy into useful energy . These forces can, depending on the situation, have varying degrees of effect on the vehicle . However, bodywork and the use of lower rolling resistance tires can minimize the impact, which in turn affects the energy needed to overcome the force . Often, special tires are recommended for cars with low fuel consumption. Here, for example, special additives such as carbon black and silica (silica) are added, which increases the grip and reduces rolling resistance. In addition, if the bodywork is lighter in construction , the lighter weight will result in further fuel savings. Therefore, it is usually a small car , when talking about economical cars. Furthermore, aerodynamics plays a role in the construction of a fuel-efficient car. If the air resistance is kept as low as possible, this usually has a positive effect on fuel consumption . The so- called drag coefficient , or cW value , as well as the front of the car provide information how much the vehicle is braked by the oncoming wind . The higher the values, the higher the fuel consumption. Economical cars usually have low values ​​here and usually also have a very streamlined shape. Aerodynamic adjustments , including on the rims, can therefore reduce air resistance and the need for fuel. Economical small car: A comparison between the models is worthwhile. Every driver should be well aware that an SUV can not be counted among the really economical cars. As previously described, the term also applies mostly to small or mid-size cars . But which car consumes the least now? A comparison , even through different media and comparison portals, is always advisable to find out which models fall under the concept of “economy cars”. Among the most fuel-efficient small and micro cars can be found in tests regularly models of Skoda , Seat and Fiat and cars from Toyota , Ford and Renault again. The average fuel consumption of these vehicles is between 4.3 and 4.7 liters per 100 km . The compact and mid-range is mostly determined by vehicles from Toyota, Kia and Nissan as well as BMW and Opel.Here is the consumption, with the exception of the hybrid drive from Toyota (3.7 liters per 100 km), between 4.6 and 5 liters . Even manufacturers such as Audi , Peugeot, Smart or Honda are trying to produce economical compact cars. However, it is repeatedly stated in tests that the consumption is significantly higher. 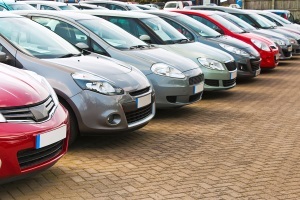 If a buyer finds that consumption is significantly higher than the manufacturer stated , he may have the right to return the vehicle. 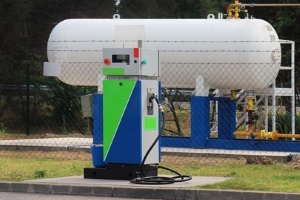 The Higher Regional Court (OLG) Hamm ruled that the return for fuel-efficient cars is only allowed if the taxes are regularly exceeded by the manufacturer for fuel consumption by ten percent (Ref: I-28 U 94/12). When it comes to gas saving, we now have a wide variety of options. Currently, cars offer hybrids, plug-in hybrids, electric battery cars and even a few models with hydrogen fuel cells (at least in California).